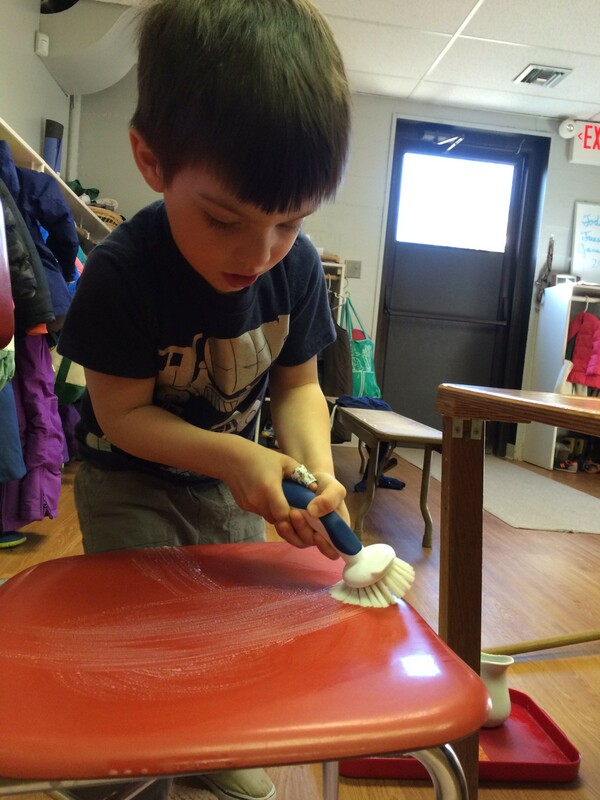 Our Montessori classrooms are meticulously prepared to promote self-discovery, confidence, and a love of learning. Lessons are presented individually to your child or in small groups in the areas of Practical Life, Sensorial, Language, Math, Social Studies/Geography, Science, Art, and Music. Then, exercising self-discipline and responsibility, each child chooses the material she or he wants to work with. As academic skills develop, so does self-confidence and independence. We respect the children’s concentration and work choices, and in turn they learn respect for themselves, for each others, and for the environment around them. 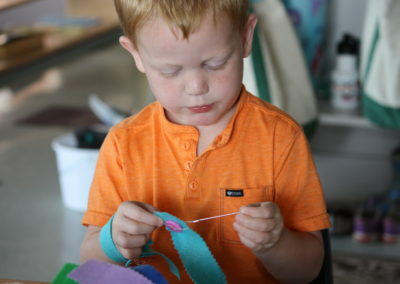 At Monarch Montessori School, we foster independence, creativity, self-direction and personal responsibility. 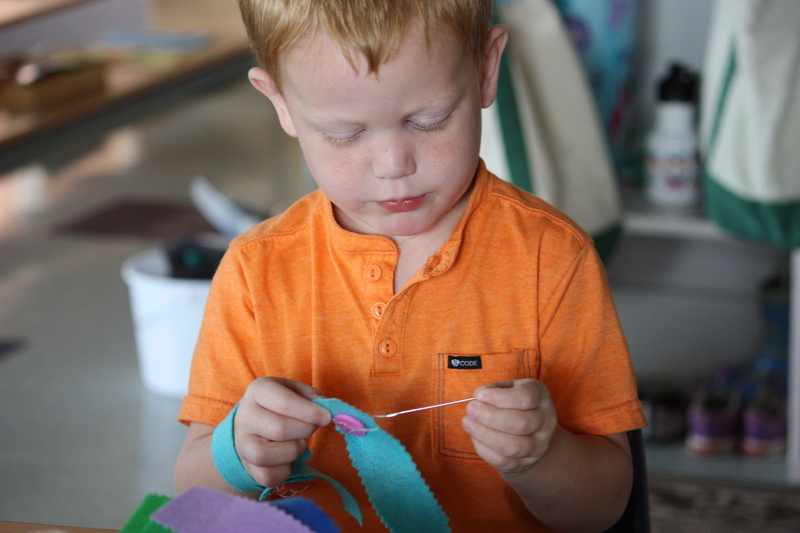 We nurture a child’s love of learning in an environment of acceptance, understanding, and mutual respect. Today, the Children’s House refers to the Montessori 3 to 6 year old classroom. The Montessori classroom is prepared with love and an attention to detail that nourishes the physical and spiritual needs of the young child. 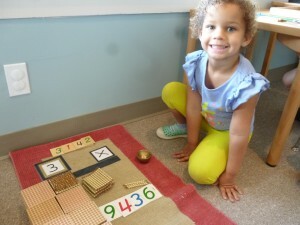 I am THRILLED with Monarch Montessori. My daughter had been in another Montessori school previous to this and while it was good I have seen tremendous and exceptional strides in her development – psychosocially and academically. The teachers and staff are incredibly accepting of each child’s own unique gifts and personalities. They truly embody the spirit Maria Montessori strived for. The extra activities, parent nights, and the overall way that everyone is included in the education of these tiny humans is a testimony to their tremendous work. I could not recommend Monarch more highly! We started sending my daughter to Monarch right before her 3rd birthday and she is now in her second year. She absolutely loves going to school and looks forward to it. The is a testament to the nurturing environment the teachers and staff have created here. They are so patient, loving and thoughtful and truly seem to care about my daughter and her best interests. We immediately saw a difference in my daughter’s behavior in such a positive way once she started here. I am also extremely impressed with the pace she is learning things, as well as the strides she has made socially. I could not be happier with our choice to send her to Monarch and would highly recommend it to anyone interested in the Montessori way of learning. This place is amazing! Our family feels so fortunate to be a part of the community at Monarch. My son has really come to love the school in a short time and has begun many excellent friendships too. As parents, Monarch has helped us guide our son toward independence, and teach him to make his own good decisions. We know his time at Monarch will provide an excellent educational base from which he can dive right into grade school with confidence. We highly recommend Monarch as a safe, fun, tranquil environment where children develop life skills, in addition to learning about math, science, reading, writing, and music. We also love the extra activities they provide like yoga and picnics! We couldn’t be more happy with our experience at Monarch Montessori. Our family has been a part of four different early childhood programs, and Monarch is by far the best of all of these. As an educator myself, currently working with toddlers and preschoolers, I appreciate the teachers’ intentional work to value the children’s independence while thoughtfully guiding them to develop socially and academically, all while honoring their unique personalities. 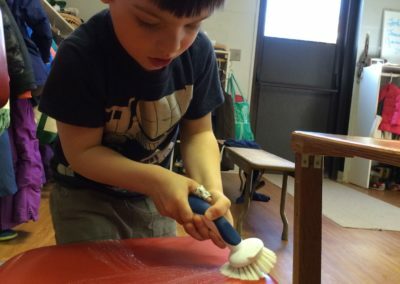 During this past year at Monarch, we have observed our son taking a greater interest in helping out at home, as well as being able to find increasingly positive ways to interact with his younger brother, and we attribute much of this to the guidance he’s receiving at school. We had such a positive experience during his Pre-K year that we agreed with his desire to stay there for his Kindergarten year! © 2016 Monarch Montessori School. All Rights Reserved.